Rockman Corner: Lies About "Mega Man"
The "Video Game Lies Database" is a fun little wiki, archiving fabricated video game cheats and secrets ranging fake Pokemon to unattainable Mortal Kombat fatalities --stuff you might have heard from playground acquaintances. MM2: "There is a secret boss somehow accessible via the Bubbleman stage. If you beat it, you will be automatically teleported to the end of the game." "Based on a truth; while there technically is no secret boss, there *is* a glitch that can be performed in Bubbleman's boss room by shooting multiple Item 1 platforms and then trying to go backwards out the door. If done correctly, with exact timing, this will teleport the player into a glitched-up version of a room from one of the Wily stages, where he or she can fight a deformed Bubbleman that's entrapped in the wall. " Know of any more fake Mega Man secrets? Head over to the wiki and contribute to the archives. No one has added the lies about Megaman X7 or X8 being good games. Must be an oversight. Mega Man X8 is a perfectly good game. It's X6 and X7 that are awful. I remember those glitches, Heat Man's stage leads to a bugged Wily Castle 1, but you can't pass the ladders without Item 1 gained from him. What's funny about the "lie" regarding Mega Man 2 is that it applies to every Robot Master stage, not just Bubble Man. 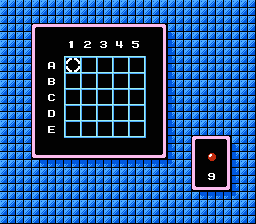 If you have Item 1 available, and you use it to get to the upper portion of the door, you will (sort of) go back through it and enter glitched out versions of Dr. Wily's fortress that use messed up graphics from other stages of the game. Pretty cool sounding, right? Well, it is, in a way, but actually these stages can be hard to navigate since you can't always see where you are going (spikes won't look like spikes) and you can die very easily.